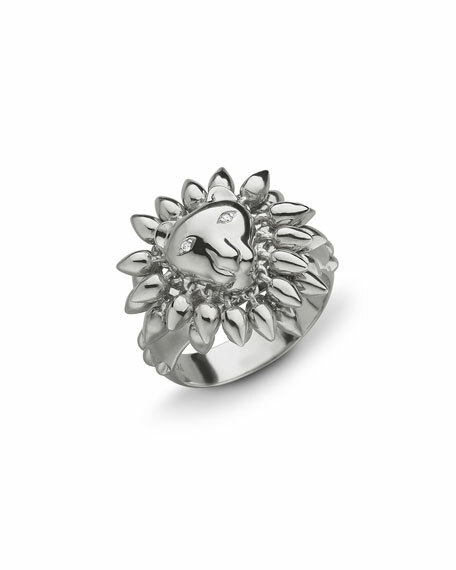 This Sterling Silver Courage Lion Ring has a movable mane made out of silver beads with white sapphires for eyes and Courage engraved on the inside of the ring. 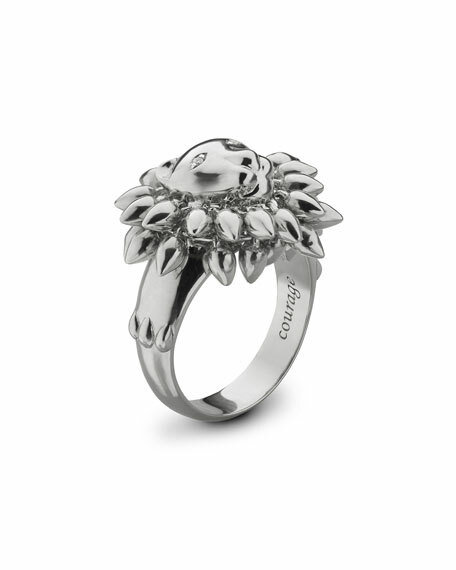 The lion, king of the jungle, symbolizes leadership, strength, fearlessness, and above all courage. Recommended for the pointer or middle finger. Monica Rich Kosann ring from the Courage Collection. Carved lion face with rotating mane. Engraved "Courage" detail on band interior. For in-store inquiries, use sku #2632020.